Nvidia recently announced GTX 980Ti with price tag of 650$. Now, Nvidia wants to make its debut in virtual reality with Gameworks VR. The virtual reality SDK tool is announced on official nvidia blog. NVIDIA Multi-Res Shading (MRS) — An innovative new rendering technique for VR. With NVIDIA MRS, each part of an image is rendered at a resolution that better matches the pixel density of the final displayed VR image. This technology uses the multi-projection architecture of the GeForce GTX 980 Ti GPU to render multiple viewports in a single pass. The result: substantial performance improvements for VR games. VR SLI — Provides increased performance for VR apps. Multiple GPUs can be assigned a specific eye to dramatically accelerate stereo rendering. With the GPU affinity application programming interface, VR SLI allows scaling for PCs with two or more GPUs. Context Priority — Enables control over GPU scheduling to support advanced VR features such as asynchronous time warp. This cuts latency and quickly adjusts images as gamers move their heads, without the need to re-render a new frame. Direct Mode — Delivers plug-and-play compatibility for VR headsets. With Direct Mode, the NVIDIA graphics driver recognizes the headset as a VR display rather than a standard desktop monitor, providing a more seamless user experience. Front Buffer Rendering — Lets the GPU to render directly to the front buffer to reduce latency. 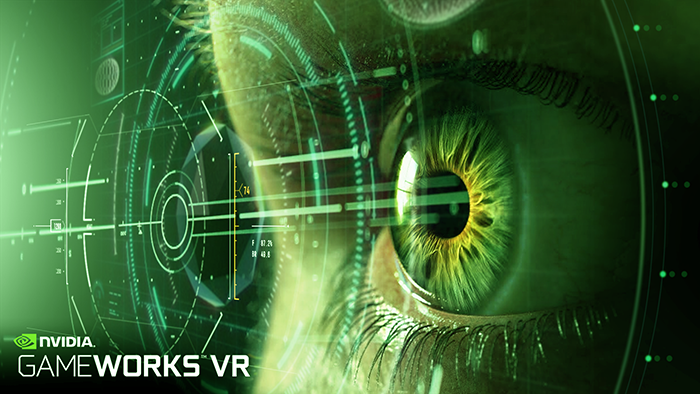 An alpha version of the GameWorks VR SDK is already in the hands of – and receiving positive feedback from — VR industry leaders such as CCP Games, Epic Games, HTC, Oculus, and Valve.